A rustic and crispy delight. These rustic breadsticks, hand-made in Piedmont (Italy), are baked in a traditional way. 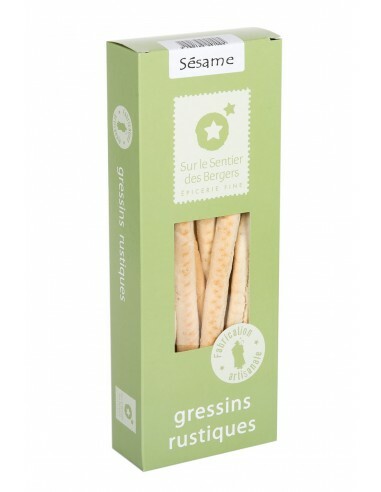 With the subtle flavours of sesame, they are very light and airy thanks to the use of brewer's yeast. 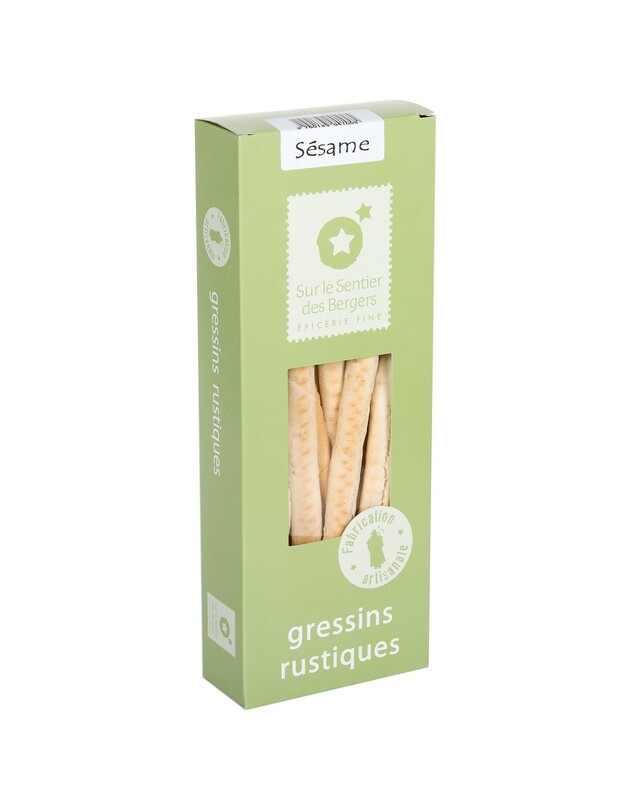 These rustic breadsticks with sesame are excellent on their own or dipped in our spreads! Wheat flour, lard, sesame 3%, salt, malted cereal flour, olive oil, yeast. Contains gluten.May contain traces of milk and soy.